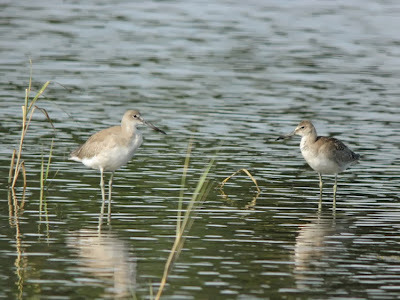 This is a long-overdue post (I have a LOT of catching-up to do...maybe a winter project). 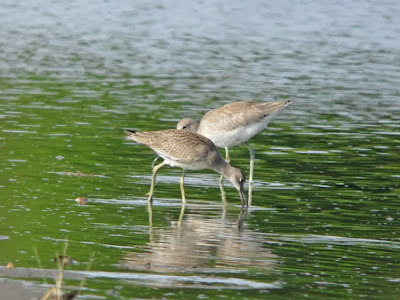 Back on August 17th I was birding Griswold Point in Old Lyme, CT and was lucky enough to have a juvenile "Eastern" Willet associating with a juvenile "Western" Willet - a side-by-side that isn't often seen so well in Connecticut. On Western (at rear), note paler upperpart coloration, less contrast between scapulars and wing coverts (less-heavily marked upperparts overall), and subtly more elongated rear-end. 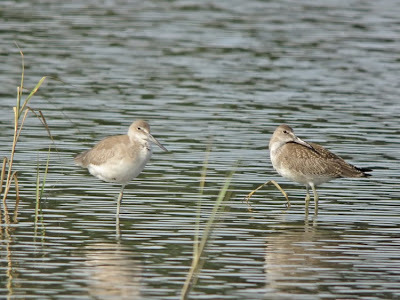 On Western (left), note larger size and longer, thinner bill. 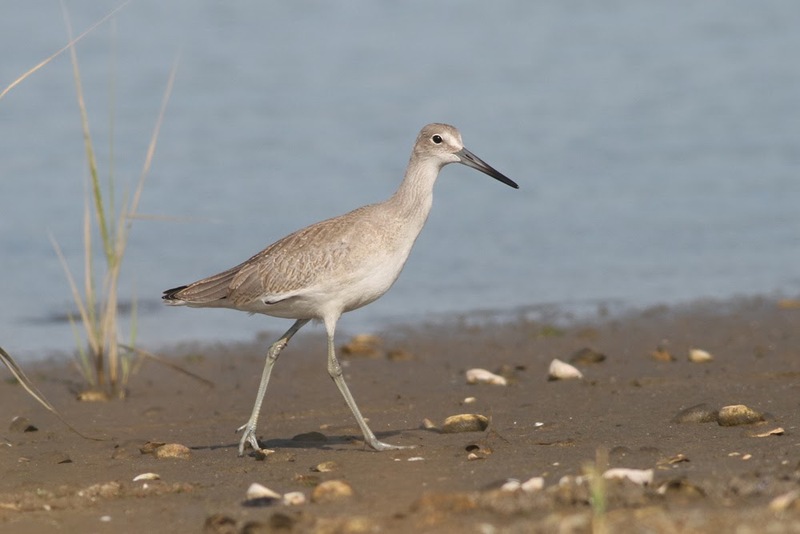 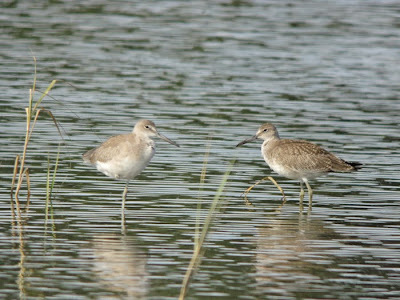 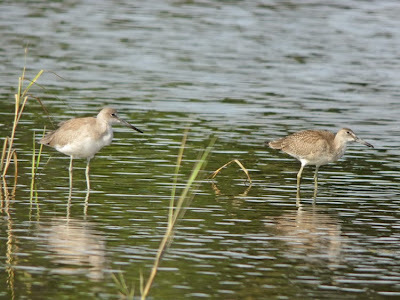 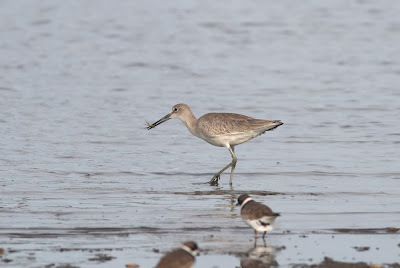 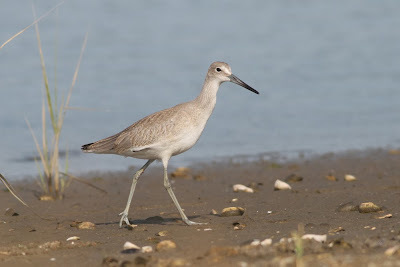 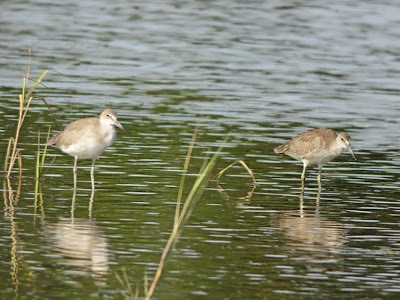 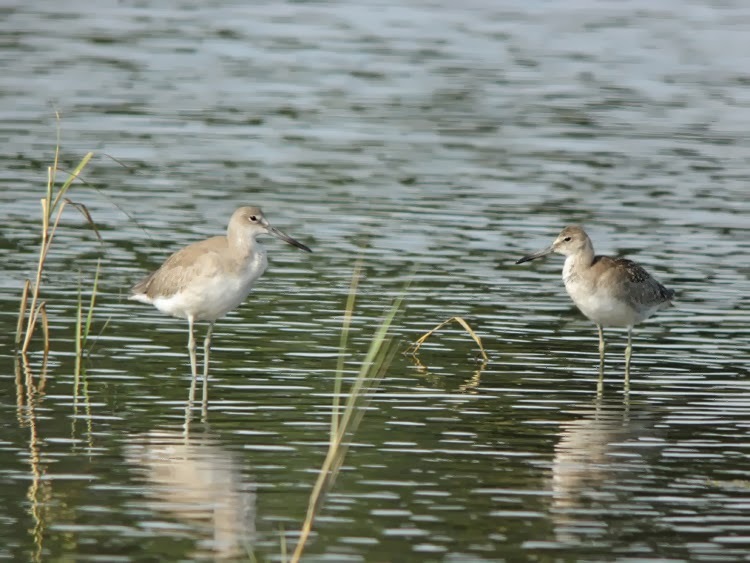 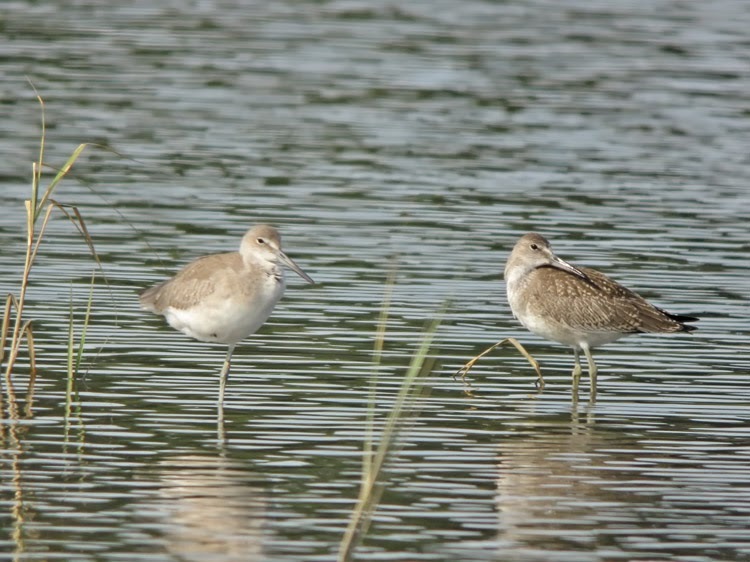 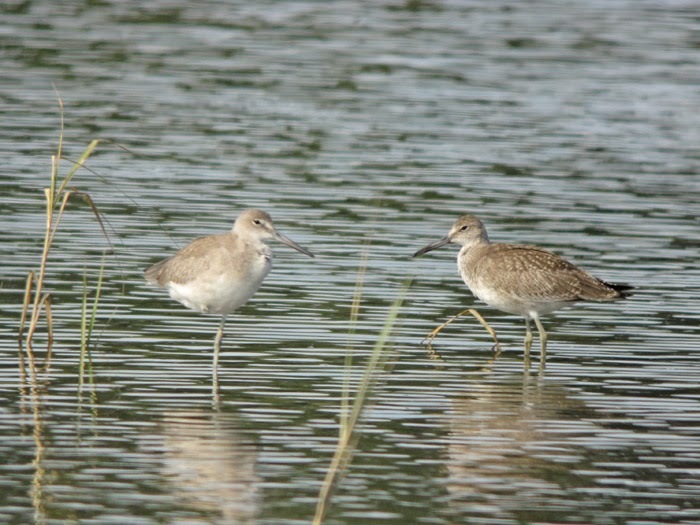 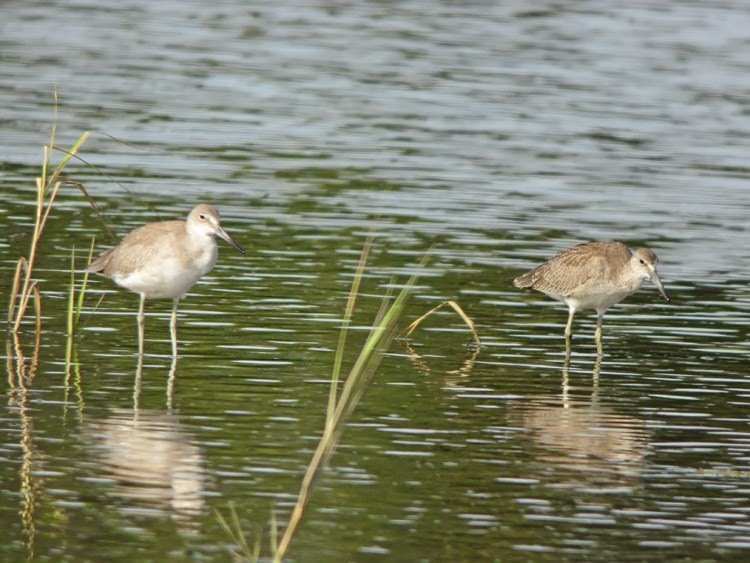 "Western" Willet is a lankier bird overall, while "Eastern" is more compact.